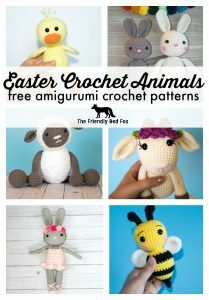 This is such a fun time of year- it is time to celebrate with some fun Spring crochet animal patterns! 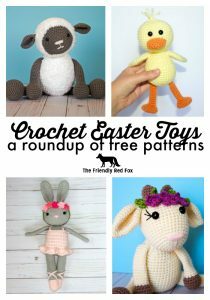 I rounded up some that would be absolutely perfect for Easter time, either as gifts or decorations, or just fun Easter crochet! 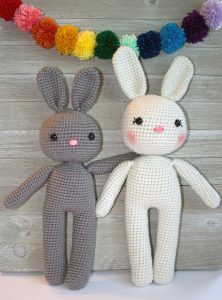 This crochet bunny pattern is perfectly simple. I love that you can add little accessories to it, or it is simply cute as is! It works up pretty quickly so it can multiply… like rabbits! 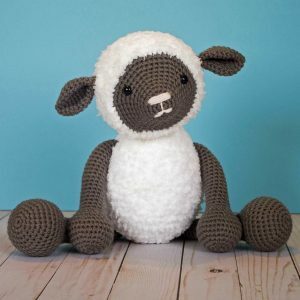 Then you have this sweet springtime crochet lamb! One of my favorites, it still sits on my boys shelf next to his bed. 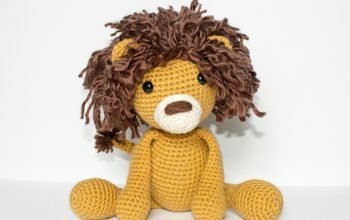 Made with the extra fun Pipsqueak yarn, he is nice and fluffy and oh so soft! 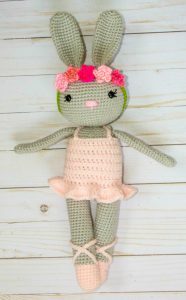 And this Ballerina Bunny would make an excellent gift for any aspiring ballerina! She is so fun and festive with that floral crown. 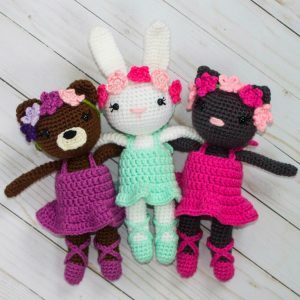 Be sure to check out her friends, the Ballerina Kitty and Bear! And don’t forget the mini version! 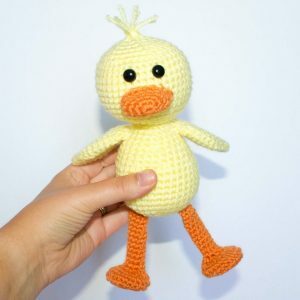 Just as cute, but extra quick to make! Spring isn’t spring without new baby ducklings! 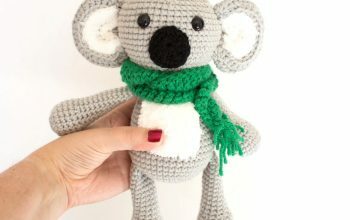 This little guy is sure to be a hit, and a perfect beginner amigurumi project! With Spring comes flowers and with flowers comes… Bees! 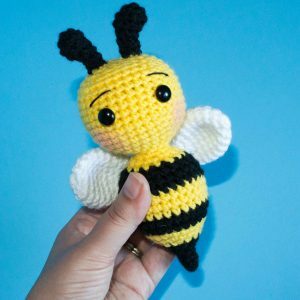 This cute crochet bee pattern is super quick to make, and his sting is harmless. 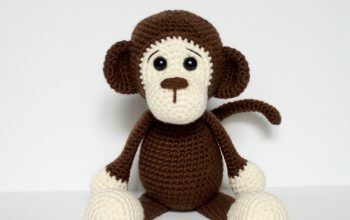 I love this crochet bee pattern with his cute expression! 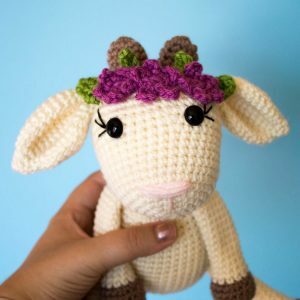 And the floral crown on this free crochet goat pattern is great to celebrate Easter! Definitely a baby goat time of year! 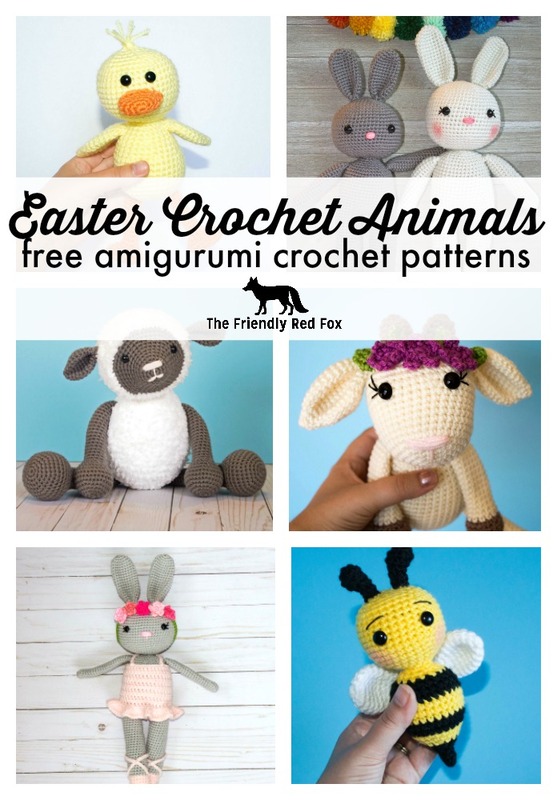 Let me know if you made any of these little spring crochet animals over in my Facebook group, or use the hashtag #thefriendlycrochetclub on instagram!